In order to run certain types of business, it is necessary to get a license, which serves as permission to do certain activity in the country. Each country has its own list of licenses, which are obligatory for doing business. 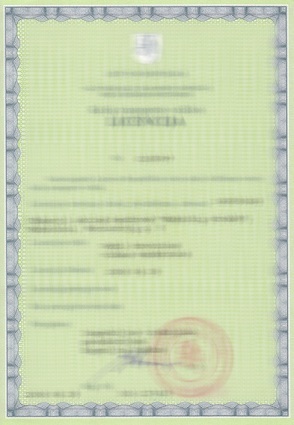 It’s possible to get license by yourself, but it takes a lot of time and efforts, and in this case there is high possibility of rejection. But you can trust to the professionals, who will do everything for you and in the shortest time you can get business license. Main licensed businesses in Lithuania are shown in the table below.